Nevada Turkish Angora Rescue View other Turkish Angoras for adoption. 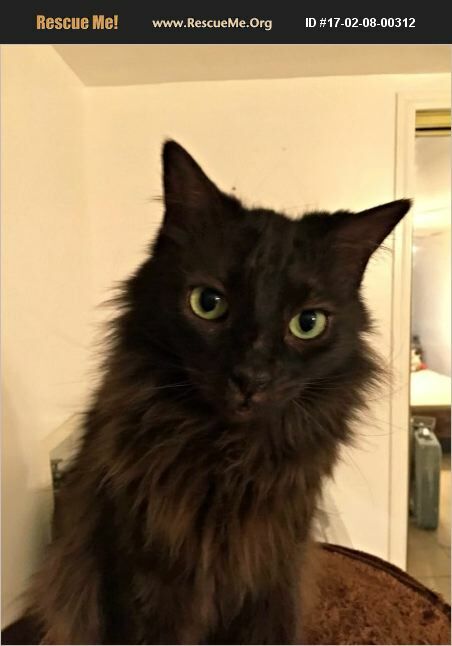 Moonlight is a handsome long haired black Turkish Angora mix. Even though he is no longer a kitten, he still acts like one. He loves to run & play & roll around on the floor. He is a big cuddle bunny who wants to get in your lap & gets lots of love. He has a sister, Twilight, who acts the same. She is a short haired Agouti mix. Two sweet kitties! Because they are so bonded, they need to be adopted together. They would be lonely without each other. If you are looking for 2 rollicking, wild & funny cats, these are the ones for you. But be prepared for a lap full of warm sweet kitties. Available to Las Vegas area homes only. Fee includes neuter, FeLV/FIV testing, vaccinations, microchip, deworm & deflea. Fee is $120 for the pair. Kitten Rescue is a 501 (c)(3) charitable organization.